Let’s face it, intranets are where company newsletters and hr policies go to die. If there is a company out there that uses their intranet the way it was intended during development I would like to think they took a more realistic approach and knew from the get-go it was never going to be productive. Intranets were developed to privately connect employees to pertinent, timely company information and serve as a web-based hub for sharing corporate messages, documents, and news within an organization. While there are many problems with intranets, it seems enterprise apps are the latest solution. “For organizations that already have a mobility strategy in place, the next phase will be to start mobilizing as many internal processes to allow workers to perform their core tasks (beyond email) from whichever device they have on hand, from wherever they are” (Qtd. in Apps@Work; Jack Morton Worldwide). Where intranets become stacked with outdated documents organized by employees with different versions of the latest update, apps make it so everyone is working on the latest version of a document, sent from a single source. Much like websites, intranets function different for each browser, so user experience varies and seamless message transfer cannot be guaranteed. Apps however are based on two main platforms, iOS and Android, making it a lot easier to maintain a consistent user experience. Intranets are considered old and outdated, which is the vibe a company gives off when exposing a new employee to one. Expose that employee to the company’s enterprise mobile app and you have one impressed and platform-familiar new employee. 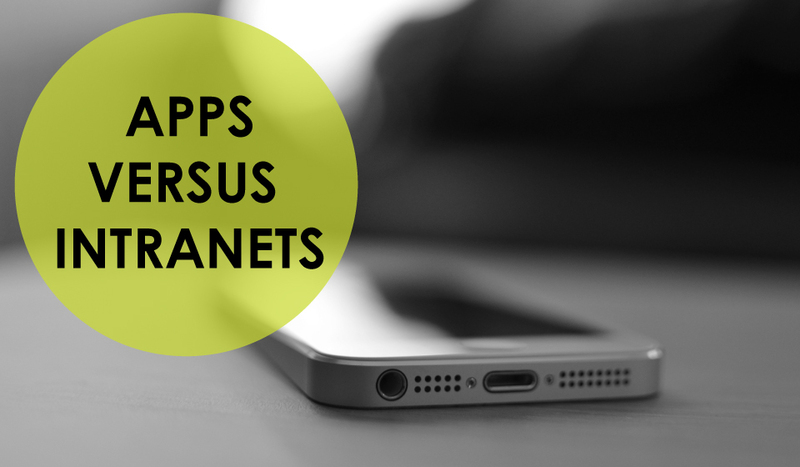 These are just a few reasons why mobile apps are better than company intranets, but the real kicker is the productivity increase it can provide for sales and marketing teams. Learn more here. Looking for a Mobile App Development position? Check out our current openings!